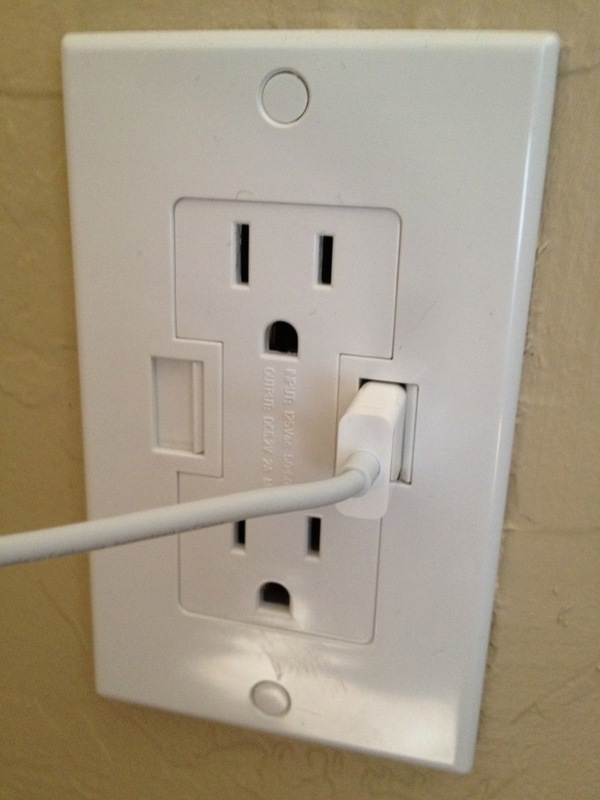 Answers at another question indicate that these outlets waste energy just like traditional chargers ("wall warts"). But, how much energy is wasted? In most countries, legislation limits the amount of power a device on standby, i.e. under power but not performing a function, are allowed to use. In Europe it's 0.5 Watts (see EC Regulation No. 1275/2008). I expect it's the same in the USA. Modern switch-mode supplies can do much better than this and I wouldn't expect most to consume a measurable amount of power when not being used. The first law of thermodynamics states that energy can't be created or destroyed so the easiest way to tell is to feel the surface of your socket outlet to see if it is warming up. If it is, investigate! It might be a badly designed USB supply or it could be a bad connection where electricity being used somewhere else on that circuit is looped through the back of the socket! TOP TIP! If you can borrow a thermal imaging camera it's an excellent way of identifying things inside your house consuming energy, bad connections & wiring problems. Looking at the outside of your house in the heating season will help you spot where you are losing heat. Not the answer you're looking for? Browse other questions tagged energy electricity or ask your own question.